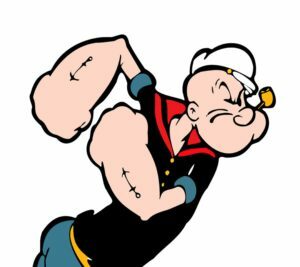 As a boy, I loved the old Popeye the Sailorman cartoons. Every afternoon, we’d come home from school and my grandmother would let us watch the Popeye Club on Channel 5. It seemed each episode would have the patient and good Popeye put up with some shenanigans from Bluto. But then Popeye would say his famous line: “That’s all I can stands; I can’t stands no more!” Then Bluto would get what was coming to him. What happens to you when you get to the end of your patience, hope, strength, or insight? What kind of person are you when you reach the end of yourself? Perhaps you’ve never experienced such a moment in your life. I have. And each time I’ve come to this point in my life, I confess a bit of fear at what I discover about myself. BRETHREN, you are our glory and joy. Therefore, when we could bear it no longer, we were willing to be left behind at Athens alone, and we sent Timothy, our brother and God’s servant in the gospel of Christ, to establish you in your faith and to exhort you, that no one be moved by these afflictions. You yourselves know that this is to be our lot. For when we were with you, we told you beforehand that we were to suffer affliction; just as it has come to pass, and as you know. For this reason, when I could bear it no longer, I sent that I might know your faith, for fear that somehow the tempter had tempted you and that our labor would be in vain. But now that Timothy has come to us from you, and has brought us the good news of your faith and love and reported that you always remember us kindly and long to see us, as we long to see you – for this reason, brethren, in all our distress and affliction we have been comforted about you through your faith; for now we live, if you stand fast in the Lord. The Thessalonians are an interesting group of believers. They were there in Northern Greece and they were a tremendously faithful group of people. But they had their challenges. For instance, there was a false teaching floating around at the time concerning the Parousia (the Second Coming of Christ). Some were saying that the Second Coming was so close that those who died before the Second Coming were lost to us. But that’s only possible when you are willing to be a humble student and obedient child. St. Paul gives us the path to that kind of faithfulness when he tells the Thessalonians WHY he sent Timothy to them. First, Timothy was sent to “establish you in your faith.” It’s great to have a religiously moving experience. In fact, our lives are made more well rounded and healed at a deeper level when we are open to the mystery of our experiencing the faith, not just reading about it! However, the wisdom of the fathers insists on balance, and that only comes from a strong foundation of faith. This ALWAYS includes serious discipleship in learning and the discipline of being willing to be taught! So, are you established in your faith? Next, Timothy was sent to “exhort” the Thessalonians. I love that word “exhort.” It means more than just educate. It means to speak and to be an example of actual practice. 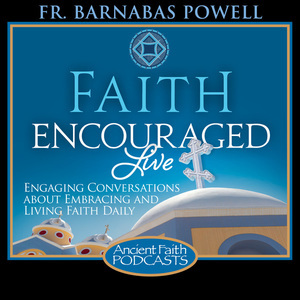 When we preach our Orthodox Faith we are meant to exhort the faithful to move beyond the temptation of merely hearing to the challenge of DOING the faith. 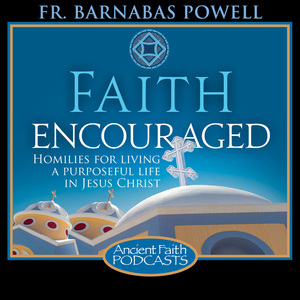 The whole purpose of these devotionals is to exhort us to be Orthodox on Purpose! Finally, Timothy was sent to encourage. St. Paul loved these people. He didn’t want to hear that his missionary work among them was “in vain.” It is never enough to merely make a convert. We are called to do the harder work of making a disciple of those who are in our churches. Converts are easy! Discipleship takes a lifetime and an ability to press through the hard times and the “afflictions” that come to everyone’s life. Do you know your faith enough to survive the “afflictions” of your life? Today, your parish, your church, has leaders who really love you. Those leaders are commissioned to make disciples and not just converts. 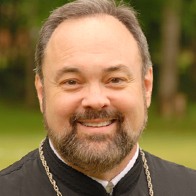 That hard work is made easier when you take responsibility for your own spiritual maturity by hearing and doing the wisdom of being Orthodox on Purpose! 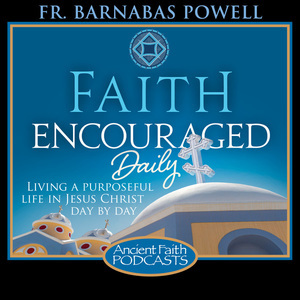 Thank you dear Father Barnabas for this message today. Am I “established in my faith”? Such an important question, especially during these times that seem to divide rather than unite us. Do I throw up my hands in despair or as Timothy exhorts us, live my life as an example in both speech and actions? Yes, being Orthodox on Purpose demands that I stay centered in Christ, so that I do not succomb to the negative voices I hear today. Thank you for that reminder.